Sleeping in is not a luxury I can often enjoy. With a job that requires all sorts of strange hours from late nights to early mornings, I like to take full advantage of any day where the birds chirping wakes me up — not my alarm. On this particular morning, I had all the time in the world… well at least 2 hours before I had to get moving. With that time, I finally cracked open my box of baking flour that I have been longing to make these drop biscuits with for weeks. While this recipe will make a “cheesy” version of this simple baked good, feel free to substitute cheese for chocolate, orange zest, honey, whatever your taste buds would enjoy. To start, pre-heat your oven to 400 degrees. Quite possibly the easiest recipe in the world, all I was thinking while I was baking these up in the morning was why do I ever buy baked goods. Making them at home really takes little to no time and prep, not to mention they taste so much better. Putting a little love and effort into your foods give you the control of what you’re eating. 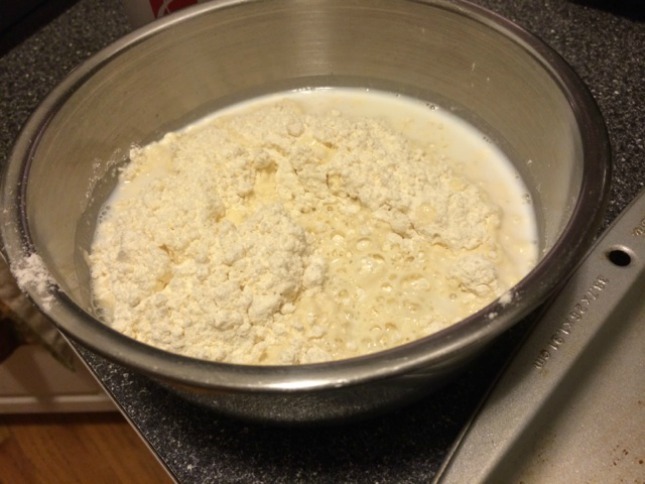 In a mixing bowl, combine the flour, milk and butter (softened) — once that is mixed, stir in some of the cheese. Next, on a non-stick or greased pan, drop the dough into small sections, spread a bit apart. 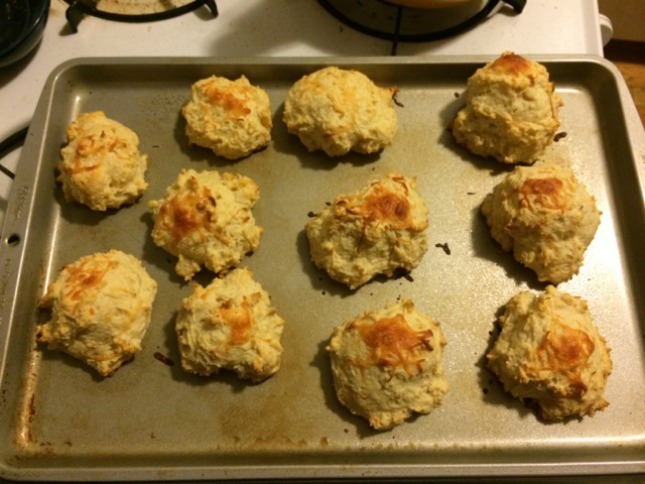 I like to keep biscuits looking a little uneven and “homemade” when baking these. There’s something about the imperfections that make them taste that much better. 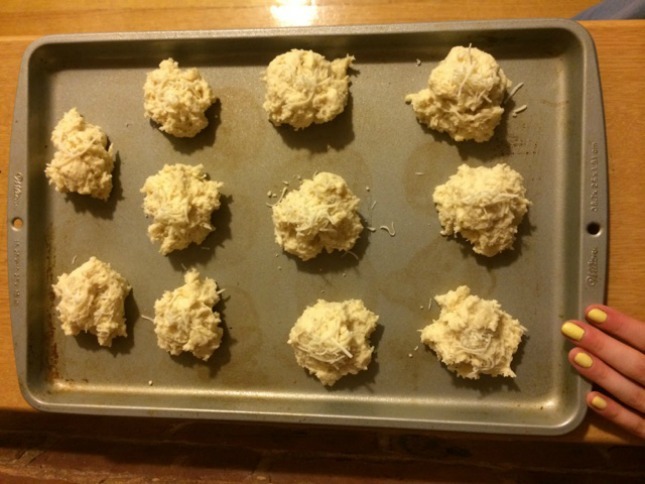 Additionally, I sprinkled a small bit of shredded cheese on top of each biscuit before tossing into the oven. This will brown up nicely for an extra crunch. 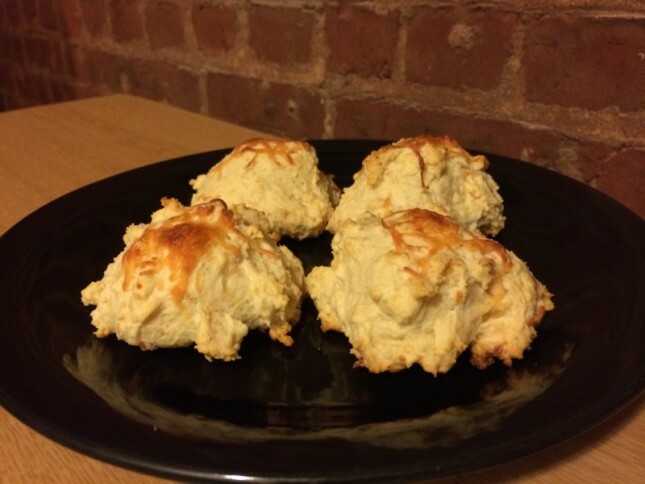 Bake the drop biscuits for about 14 minutes, but check on them after 12 or so to see when they turn golden brown. You won’t want to overcook these. Voila! 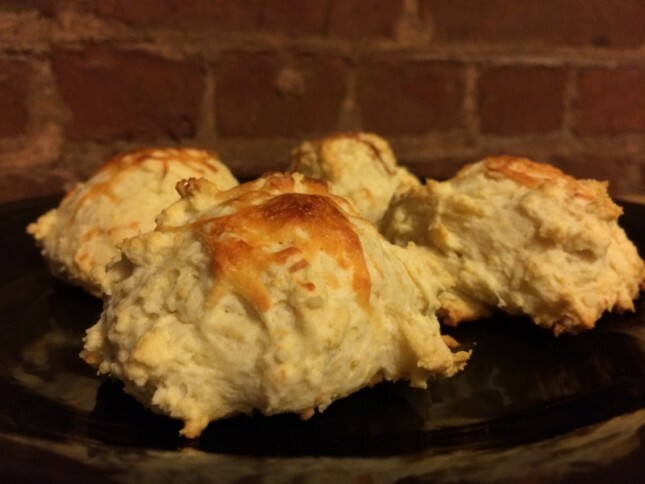 Perfect little biscuits for breakfast in less than 15 minutes. That’s about the same time it would take me to run to the corner coffee shop and grab a few to go, but these you can make right at home. Although they are made with butter, adding a little on top to melt as they are coming out of the oven won’t hurt. Serve right out of the oven, after they have cooled for a bit. But they will also stay good in an airtight container for 2 days. 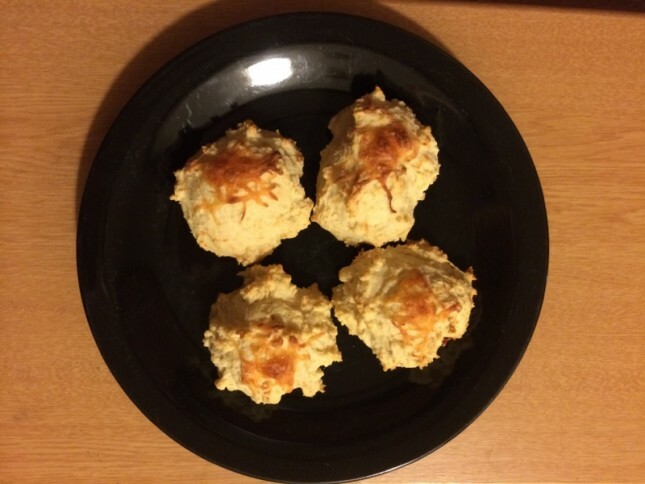 Tags: baking, cheese, dough, drop biscuits, italian cheese, mozzarella, recipes. Bookmark the permalink.